This study investigates how teacher education prepares primary teachers to teach mathematics to students from diverse backgrounds. 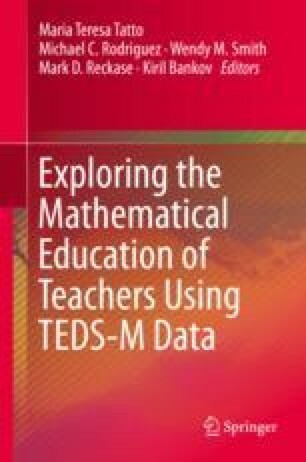 Hierarchical linear modeling is used to investigate the relationship between opportunities to learn to teach students from diverse backgrounds during teacher preparation and teachers’ mathematical knowledge for teaching using the TEDS-M international dataset. In general, primary mathematics specialist teachers with more opportunities to learn to teach students from diverse backgrounds had lower levels of mathematical knowledge for teaching. Primary generalist teachers do not consistently show the same results across all countries, with some showing higher and other showing lower levels of mathematical knowledge for teaching. These results suggest that teachers who are better prepared for the mathematical aspects of teaching tend to be less prepared for addressing the needs of diverse learners. This material is based upon work supported in part, by the National Science Foundation Graduate Research Fellowship Program under Grant No. DGE-0824162, and the NAEd/Spencer Dissertation Fellowship Program. Its contents are solely the responsibility of the author and do not necessarily represent the official views of the previous organizations. Barton, P. E., & Coley, R. J. (2010). The black-white achievement gap: When progress stopped. Policy information report. Educational Testing Service. Retrieved from http://eric.ed.gov/?id=ED511548.